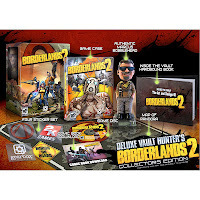 GIFTS FOR GAMERS - A weekly column at Cold's Gold Factory that focuses on bringing you some of the coolest new games and gifts for gamers of all types. Borderlands 2 has just released and the buzz I've been seeing has all been very positive. Brand new players and returning Borderlands fans have both been raving about how great the Borderlands 2 sequel turned out. 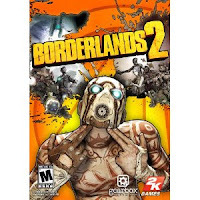 Borderlands 2 is a hybrid 1st person shooter / RPG that offers new characters, new classes, and online play which allows you to play with your friends. The new Badass Gun System allows millions of weapon combinations and the new Gunzerker class can dual wield any 2 weapons in the game! Borderlands 2 is available on many platforms, including XBox 360, PS3, PC, & via PC Download. 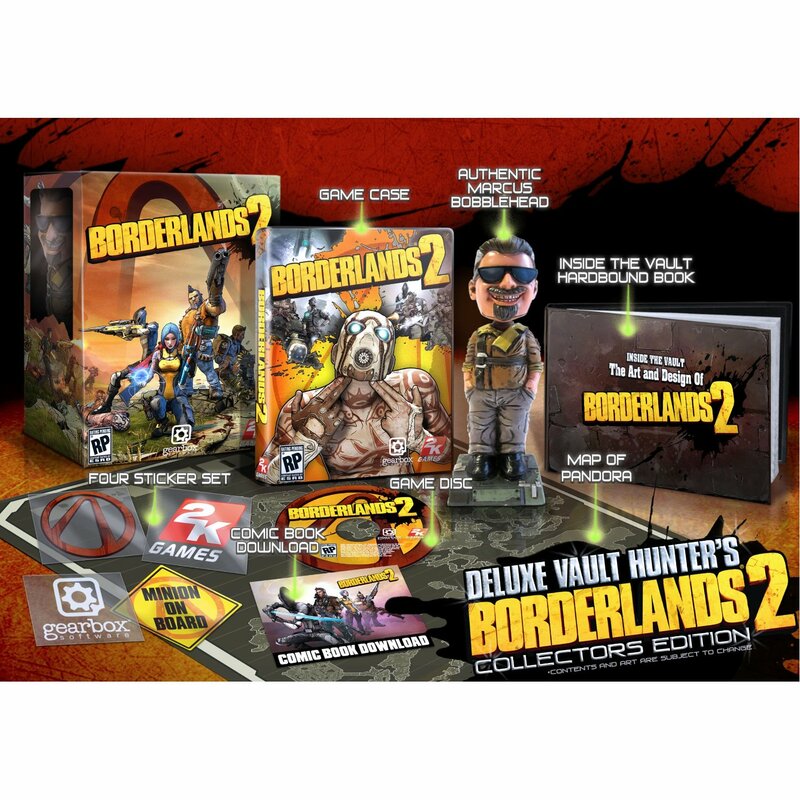 There are also multiple Collectible Edition versions that you can purchase to further increase your Borderlands Swag. 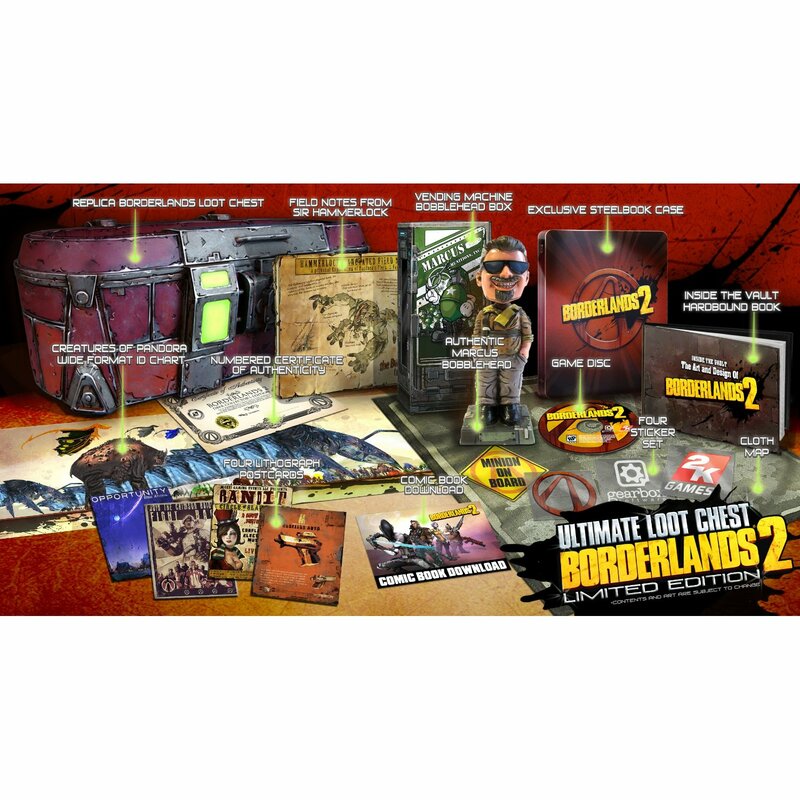 If you decide on the PC Download version, then you can also upgrade to a Borderlands 2 Season Pass, which gives you access to 4 more downloadable content packs, some which haven't been released yet. You should have plenty of options for killing others and blowing stuff up! My good buddy Wes, from Capped By Cata and the Auction House Junkies Podcast, had this to say about his recent Borderlands 2 purchase. If there was ever a game that could drag you out of your MMO Prison, or well, for us your palace lined in gold, it’s Borderlands 2. For the first time in years Borderlands 2 literally stole time from me like so many games use to do. Mixing First Person Shooter glory with loot and level goodness, it has something no matter what your taste is. With 4 different classes and skill trees for each, the game offers plenty of customization and replay ability. The best part for me though is really the story. Hilarious dialog and plenty of nerd memes hidden throughout. It truly is Epic. So grab your copy and get going. But be warned, you’ll need plenty of Mountain Dew and you better set your Auctions to 48 hours. It might be awhile before you get back to them. The Resident Evil series has been around since I was a kid and the games keep getting bigger and better. Pre-orders are available for the next sequel, Resident Evil 6, which will release very soon on Tuesday, October 2nd. 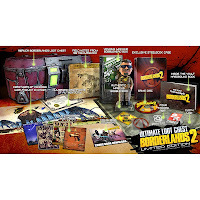 Be sure to get your pre-order in ASAP so you don't miss out on the extra pre-order rewards from Amazon.com. If you pre-order Resident Evil 6 with Amazon, you will get a $10 Amazon credit for your next purchase as well as a unique bonus code for downloading the Amazon exclusive Mercenaries stage, The High Seas Fortress. So you can get the $10 code and use it on Borderlands 2 after your copy of Resident Evil 6 ships! 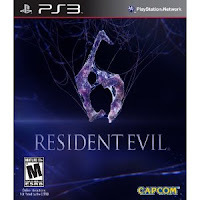 Resident Evil 6 will be available on PS3 and XBox 360. The PS3 version comes in the Standard Edition or the Anthology Edition and the XBox 360 is available in Standard and Archives Editions. Don't forget to pre-order before the bonus offer expires.